IRC Section 511 taxes UBTI at the trust tax rates, which is quite high. For 2019, the highest trust tax rate is 37%. Like the Self-Directed IRA structure, a 401(k) Plan can offer participants the ability to use plan funds to make alternative asset investments, such as real estate. All income and gains generated by the real estate investment will generally flow back to the 401(k) Plan without tax. If your IRA uses a nonrecourse loan to finance a type of real estate, the investment’s income or gains usually trigger a penalty tax. This is the Unrelated Debt Financed Income (UDFI) tax, which is part of the UBTI family. UDFI is a type of UBTI, and when triggered, may be subject to the IRA to nearly a 37% tax for 2019. A nonrecourse loan is one that the borrower doesn’t personally guarantee. It’s often secured by an asset, such as the underlying real estate. In the case of a real estate nonrecourse loan default, the lender generally satisfies the outstanding loan amount by the real estate securing the loan. You’re unable to acquire a loan for a real estate investment, according to the prohibited transaction rules under IRC 4975. However, you can use a nonrecourse loan as part of a real estate transaction involving a retirement account. A nonrecourse loan is one that the IRA holder doesn’t personally guarantee. In other words, an individual retirement account holder seeking to use leverage to buy real estate using retirement funds will need to concern themselves with the IRS prohibited transaction rules and the potential application of the UBTI tax rules. First, the loan would have to be nonrecourse. Second, if an IRA is used, the tax implications of the UBTI tax must be considered. Alternatively, if one is self-employed or is an owner of a business, using a 401(k) plan instead of an IRA could provide tax advantageous due to the UBTI exemption available for 401(k) plans pursuant to IRC 514(c)(9). Therefore, if you are a business owner and are eligible to establish a 401(k) plan, and if the plan you establish offers alternative asset investment options, then using a 401(k) plan to buy real estate will allow you to use nonrecourse leverage without triggering the UBTI tax. Recently, the “C Corporation Blocker” has grown among IRA investors to limit the reach of the UBTI tax. The C Corporation Blocker strategy involves the retirement account holder establishing a C Corporation entity. As IRA holder, you then invest your retirement funds directly into the C Corporation before investing the funds into the passthrough investment. The passthrough investment may or may not involve leverage. Assume you’re a self-directed IRA investor and you want to invest IRA funds into an active business, such as a hotel. It operates through the LLC that may or may not be using leverage, so you can establish a C Corporation and invest your IRA funds through the C Corporation. Finally, have the C Corp. invest the funds into the passthrough business operating the hotel. All business passthrough income the C Corporation receives is subject to the newly reduced corporate tax rate of 21%. This is less than the 37% maximum UBTI tax rate and significantly less than the old maximum corporate tax rate of 35%. Other than structuring the investment as a loan and not an equity investment, which would generate interest income not subject to the UBTI tax, an equity investment of retirement funds into an active business operated via a passthrough entity that also involves leverage will have some tax implications. 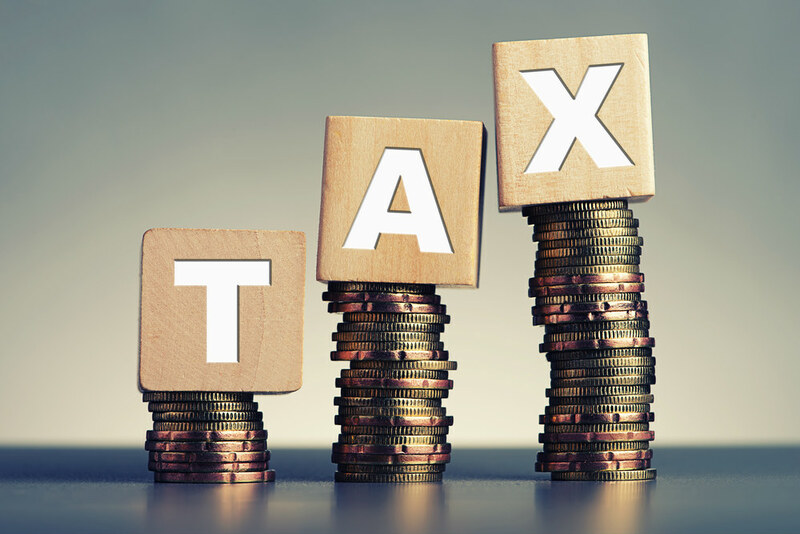 However, employing a C Corporation Blocker strategy can be helpful in blocking the UBTI tax from applying and minimizing the tax rate to a maximum tax rate of 21% (C Corporation tax rate), which is significantly less than the UBTI maximum tax rate of 37%. Next Next post: What is a Self-Directed IRA Custodian?